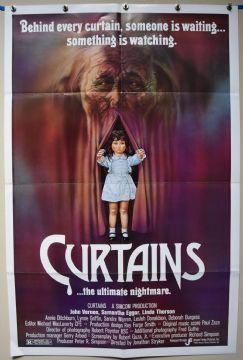 Curtains (Simcom,1983) US One Sheet Poster Size 27" x 41"
The Stage is set for the final act! Under-rated mystery horror starring Samantha Eggar and John Vernon. 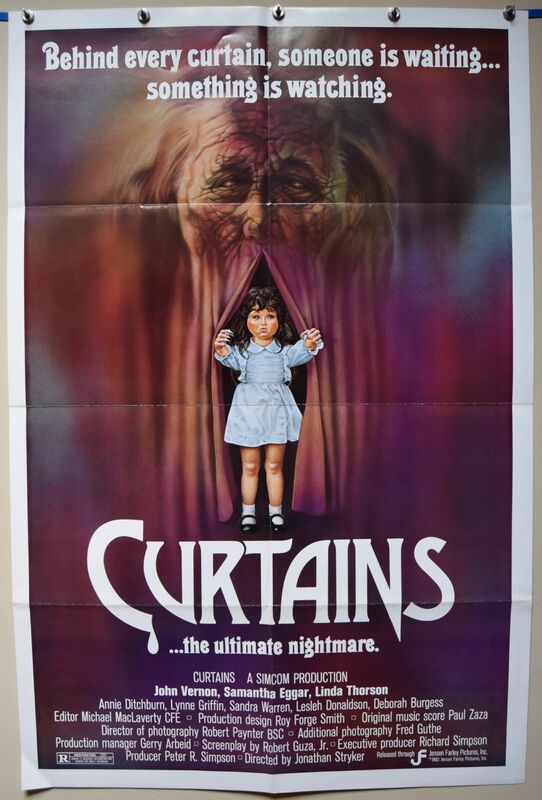 The poster is in fabulous condition.